Our All Jigsaw Puzzles promo codes seem like an obvious place to start, and when they say ‘All Jigsaw Puzzles’, they really do mean ALL jigsaw puzzles. However obscure the puzzle is that you desire, we reckon you’ll find it on their site, and with our current All Jigsaw Puzzle discount codes that can save you 10% on your order until 12th November, we think nearly every jigsaw wish can be granted right here. Our picks in their fabulous range include the Beano 75 Years Puzzle (was £12.99, now £11.68 with code applied), the Alphabet Crocodile (was £19.99, now £17.99 with code applied) and the British Classic Cars Jigsaw Puzzle (was £14.99, now £13.49 with code applied). They’ve got puzzles for every age in every type of category, so have a browse and solve all your puzzle, er puzzles! If it’s jigsaw puzzles for smaller people you’re after (perhaps in the hope of getting some of that Christmas shopping out of the way early this year), then it is our Smyths Toys promo codes page that you want. They’ve always got lots of lovely toy savings available and today, on National Jigsaw Day let’s not forget, why not take the opportunity to use them and buy your kids a few? 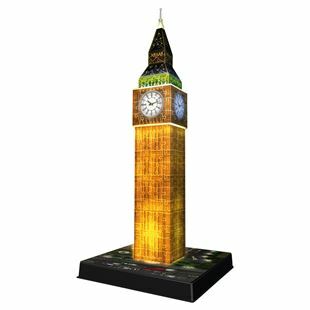 Our Smyths Toys discount codes can get you up to 75% off selected games, puzzles and books, and included in the list of current price cuts is the Ravensburger Big Ben 3D Puzzle Night Edition (was £24.99, now £19.99), or you could choose to use their 2 for £15 offer and by a Paw Patrol 4 x 42 Piece Puzzle Set (£9.99) and a Thomas & Friends 4 x 42 Piece Puzzle Set (£9.99). For a puzzle that’s a bit more personalised, why not think about getting your photos transformed into one? This is perfectly possible when you use our My Photo Puzzle promo codes and not only can you take advantage of this special service, but with My Photo Puzzle discount codes you can also save money, 10% on your order to be exact. You can order photo puzzles of many different sizes and shapes, so for those who prefer a more challenging puzzle, why not go for a 2000 piece (from £38.99 before discount)? Or for someone special, there’s a heart-shaped 600 piece puzzle (from £24.99 before discount), but if you’re after simpler puzzling time, then go with the 100 piece (from £19.99 before discount). We think celebrating this excellent hobby for all ages is a fantastic idea, and what better way is there to mark National Jigsaw Day than buying splashing out on a new one with our All Jigsaw Puzzle promo codes, Smyths Toys promo codes and My Photo Puzzle promo codes?